It is interesting to note that we have four different Gospels. It is interesting to note that the root of this word:" Gospel" is derived from the two Anglo-Saxon words God, meaning good and spell, meaning tiding or history.. It is interesting for me because English is a language derived from about fifty percent from Latin, and in many cases like for the word divinity and divine they use the Latin word but in this instance the word God is different from Latin DEUS, and the reason is because on my opinion the Anglo- Saxon are rest of the ten tribes and they knew many important things about God, in this case the word is coming from "good" to make sure that they know that God is "Love" or the best "good". Also the word Gospel could mean God history but for me even better God spelling means that God is spelling the Truth precisely. When you do the spelling of your proper name or your last name you do the spell because you don't want to be misunderstood, so for me Gospel means clarity of God in spelling His truth and for this reason is God History and a great good news. Four is the number which represents the earth. We have four seasons, four points on the compass, in the parable of the sewer, our Lord divided the field in four different kind of ground and after He declared that the field was the world. How come the Lord wanted four Gospels? Simple, not only to send them to the four points of the compass but also to satisfy all the necessity spiritual and intellectual of each one of us. We have three synoptic Gospels, synoptic means that they are parallel, practically they discuss the same things, but, most important of all, they seek to touch the mentality and culture of different people. The last one, the Gospel of John is defined "The spiritual Gospel". This one has a special mission, the first three are speaking of the Lord in action, John describes Him in His communion and meditation with God. Gospels tell us when and how Jesus came and did, the epistles explain why and many other deep topics. In the old testament His coming is prepared. In the four Gospels Christ comes, dies for us and build His church. In Acts and in the epistles are revealed the way Jesus was received in the lives of the people. In Revelation the whole plan is clearly explained. Let's go to see to who the synoptic Gospel were directed. Matthew presents Jesus like King. It was written mainly for the Jews. He is the son of David. His royal genealogy is given in the first chapter. In chapters 5-7 we have His personal constitution as King, given to the people who will be willing to support Him. Mark depicts Him like a servant. This Gospel was intended to be written for the Romans, or gentiles. There is no genealogy, the Romans have no interest in it and after all who could be interested in a genealogy of a servant?. The majority part of the miracles are described in Mark. The Romans had an interest in facts, not in words. Luke depicts Christ like the perfect man. This Gospel was intended to be written for the Greeks. 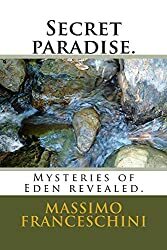 In this book the Christ' genealogy goes back until Adam. 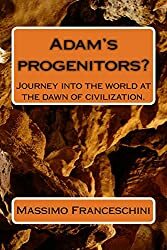 This to help the Greeks that they also, like the Romans were part of the human family and like such they could apply to themselves the promised received by Abraham. All in his Gospel is done to show Jesus in His relationship with God. Matthew wanted to present the promised Savior. Mark wanted to present a powerful Savior. Luke wanted to show the grace of a perfect Savior. John wanted to show that we possess a personal Savior. There are four gospel because they are necessary to give to each one of us, regarding our culture and background the best idea possible of the Savior. Each of the writers had something special to share regarding the mission of the Messiah. We are looking at him from the four different points of the spiritual compass. Lets' take a minute to ponder. All the Gospels are connected to the promise of the Messiah contained in the old testament. We can't explain the Gospels without considering the prophecies of the old testament. The prophets have given a complete picture of Him. They have spoken about His authority, of His mission, of His sufferings, of His death, resurrection and His final Glory. Let's consider the names and titles that He was given from the prophets. Psalm 72 Isaiah 9:6-7 32:1 Jeremiah 23:5 Zechariah 9:9 14:9. They are speaking about His regal office. 19 ¶ For though I be free from all [men], yet have I made myself servant unto all, that I might gain the more. At Christ's time there were four different kind of persons, and we could say the same for today. Let's take the Jews for first. They were very well aware of scriptures and prophecies. Matthew directed his Gospel to them. It is interesting to note that John wrote his Gospel after much time after the first three Gospel were completed and surely he felt he should fill a place that it was missing. three is the perfect number and therefore the synoptic Gospels are perfect under this point, but being mankind representing earth or world number four is appropriated too, also mankind is son of God and the number for God or divine is 1 it seems perfect to have four gospels for the earth or world. We have today this kind of person, people seeking to see the fulfillment of prophesy. After the Jews came the Romans, the owners of the world at that time. Mark wrote for them. The Romans didn't nothing about prophecy or the old testament. They have no interest in prophecy, but they had a lot of interest in this powerful leader coming forth in Palestine. His miracles were astonishing and the rumor came to Rome. The Romans were different from the Jew. His genius was his strong common sense. His religious must be practical. He would have no interest in tracing beliefs back into the past. Legal genealogies and fulfillments of prophecy would leave him col. Jewish dogmas were not in his line. Mark differs from Matthew. Mark's Gospel was the shortest one. There is nothing about the virgin birth. No reference to His birth is made in the whole Gospel> No one is interested in the pedigree of a servant. There is no visit of the wise men. A servant doesn't' receive homage. No account of Jesus like a boy in the temple. In this practical age, as in the age of Jesus, men demand a Christ who can work things. They need to know Jesus the man not the boy. No Sermon on the Mount is given, a servant has no kingdom or laws. No quotations from the prophets are given just one in Mark 1:2. Matthew quotes scripture in every single page. No divine titles are used> Jesus is called as king just to be mocked. Matthew use to call Jesus Emmanuel, Mark just "Master" other evangelists call Him "Lord". Matthew said:" Lord, save us; we perish." Mark said:" Master, carest thou not that we perish?" There is no statement that His work was over when He died. In John 19:30 He declared:" It is finished! '> It is not good for a servant to say when his work is done. service was without an end. Matthew reports 14 parables, Mark only four and you will find any of the type of "householder" or the marriage of the "King's son" or "talents". Miracles have a special place in Mark like parables have for Matthew. A servant works, a king speaks. Mark introduced His forerunner John the Baptist, we see this strange man, clothed with camel's hair and with a girdle of a skin about his loins. His food was very strange too, for locusts and wild honey were his diet. No doubt, if we were left to select a herald for Christ, we would have chosen one of high birth, well trained. he would have been eloquent and so on. John the Baptist was the contrary of all of this. It is interesting to note that Jesus never called any man from idleness. Only in this gospel is declared that Jesus was a carpenter, a real handyman in the real life so He was like servant of God. Mark 6:32-44 is the only miracle recorded by the all Gospels. there are 35 miracles in the Gospels the sum is (8) ready for another cycle. Notice Jesus served in an orderly way. No reference is made by Mark that in the garden He had the right to summon 12 legions of angels, if He so willed. No promise of the kingdom is given to the dying thief on the cross. These claims pertain to a king ( in Matthew), but they are not to a servant. This Gospel was intended to be written for the Greeks. Mark introduced him like the servant of God to the Romans. Luke is presenting Jesus like the perfect man to the Greeks. Luke reveals the humanity of our Lord. He reveals the Savior as a man with all His sympathies, feelings and powers. We see God coming down to our same level, entering in our conditions and being subject to the same our circumstances. Luke has given us the particulars concerning the birth of Jesus, He was a doctor! Luke is the Gospel of the outcast, the good Samaritan, the publican, the prodigal son and the thief on the cross. Luke alone described Jesus weeping on Jerusalem. Luke speaks more on prayers than any other Gospel writer. Prayer is human dependence from God. Luke surely loved poetry and other arts, his background was a Greek one, look at those interesting scriptures they are full of poetry. Luke 1:42-45 Luke 1:46-55 Luke 1:68-79. These were just music for the Greeks. To the birth of Jesus the angels were singing Luke 2:13-14. If today we should have a gospel for the Americans probably God would have chosen a master in musicals, for the Greeks the master was Luke, one of them. He wrote for all mankind. here some good keys to better understand the Gospels. Matthew begins with the genealogy of Jesus Christ, son of David and Abraham, to show to the Jews the royal lineage from David until Abraham. Matthew introduces Jesus like King and a King is not chosen by the people. Mark is not given any genealogy. Luke is given the genealogy until Adam because He is trying to involve every person in his message. John either is not giving any genealogy, because he is presenting Jesus like God and a God doesn't need any genealogy. Let's see how all the Gospel finish. Matthew 28:18-20 We have here a King who is giving orders and instructions! Mark " and the Lord was working with them! Luke as a doctor want to prove the literal resurrection of the Lord. John says that "there are many other things that Jesus did, but the world can't keep them." The covenant with Abraham was to bless all the family on earth genesis 12:3. The son of David was a king, the son of Abraham a son to sacrifice.. Matthew did open with a king and finished with a sacrifice. From the very beginning Jesus is associated with the Jewish nation. Matthew is using wisdom because he want the Jews to have good sympathy for Jesus. he is trying to convince them that He was the fulfillment of every prophecy contained in their scriptures. Their promised Messiah. Matthew quotes a lot from the old Testament. 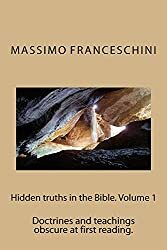 29 quotations and 13 are proving their fulfillment Matthew makes every pages of his Gospel a junction to the old testament trying to make them understand that the Messiah came. Matthew and Paul to the Galatians are trying to explain to the Jews that they were not changing religion or faith. An interesting thing to note is that the genealogy contained in Matthew is the genealogy by Joseph, the genealogy in Luke is by the mother. Joseph was descending from Jeconia, verse 11, and if Jesus was a literal son of Joseph He had no right to the throne because in Jeremiah 22:30 there is a curse in this lineage, but Mary had Nathan and there was no curse in that lineage. Lets' look how Matthew has written this story of a king. 4:10 respect for a king. We have to keep on mind that the three wise men were looking not for a Savior but for the King of the Jews. The birth of Jesus was followed from 12 years of silence until He was in the temple with the doctors. After that there were other 18 years of silence. I know that numbers are often a symbol for something. 12 means guide on earth and contains number one (god) and number two (witnesses). This is the age in which in the church of Jesus Christ a young man receive the priesthood as deacon, is not strange that Jesus was starting in some way to go in the temple and talk to the priests. The number 18 have the number one (God) and 8 (new cycle), in fact Jesus was just beginning under the direction of God the new dispensation, or better the Gospel's dispensation and the sum is nine a perfect time for training, in the meantime. Like 30 years of entire preparation means the same thing. Every King has his herald and John the Baptist was His herald. When He was baptized the voice of His Father declared Him His Heir. Like every king He had his own cabinet the twelve and the seventy. The kingdom of God is a special phrase for Matthew. the word kingdom is found 55 times in his book. The expression "kingdom of God" is quoted 35 times and it is not found in any other Gospels. from the 15 parables given from Matthew 12, and this is another interesting coincidence, begin with the phrase "the kingdom of God is like..." The Jews understood perfectly the term "Kingdom of God"
Since the Jews didn't listen to Him, He started to build a new building, a new body of people. The Sunday of Palms, the people knew that Jesus would have come in Jerusalem, He was received like a king and the most important thing was that Jesus allowed this. The end was coming and He wanted and He had to be sacrificed like the promise Messiah even though rejected. This is one of the best key for the missionary work: to understand the beliefs and the background of the other people and help them to better understand the Gospel. Mark didn't need to quote declaration or prophecies from the old testament, the Romans had very few interest in words, but they were very interested in facts. Romans were like the Americans now, they loved the common sense, the practical things. Mark gave to them these things. The Romans wanted to know just what Jesus did no more no less. Mark is the shortest gospel, it was wrote for practical people. Matthew has 28 chapters, he abounds in parables and depicts Jesus like Son of David. Mark has 16 chapters and four parables. The ability of a professional could be in leaving out what is not necessary for his purpose. In the strict harmony to present Jesus like servant we note these things. No wonderful birth, no reference to his birth: no one has an interest in a birth of a servant. No wise men are mentioned, a servant doesn't receive any homage. No visit to the temple, the gentiles have an interest for facts no to his relationship to the Law. No sermon on the mount or better the constitution of the King. Matthew has three chapter for the sermon but just because it is a constitution of a king. In Mark we have only one quotation from the prophest Mark 1:2 and this just to introduce the main purpose that Mark will try to put in his listeners, the necessity to change the life bringing to be baptized. Never is used a royal title, if not to mock Him. Matthew calls Jesus Emmanuel "God with us" the other evangelist call Him "Lord" mark says always "Master" it is totally more human and more easy to be digested from his listeners. There is no quotation in Mark that the work of Jesus is done. John 19:30 says it is over! In Mark there is not such declaration a servant cannot decide when the job is done. There is no introduction in Mark. The others evangelist have long introductions. Mark just says "Gospel of Jesus Christ" and just add "son of God" but just to try to add interest in his readers. The word Gospel is used 12 times in all the Gospels (interesting). If you take a look to the word that is opening 12 of the 16 chapters you will see the short "and". His service was complete and never interrupted. The Mark's gospel is very concentrated one, the gentiles were very different from the Jews, they were practical people. Matthew has 14 parables, Mark just four and like the number declares are earthly parables, the seed, the sower, another seed and the farmer. In Mark at the place of the parables we have many miracles, twenty. Only in this gospel is declared that Jesus was a carpenter. It is interesting to note that Jesus never called any man from idleness. Mark depicts Jesus in his human traits, his torments, when He wept, when he was upset and so on. There are 35 miracles (3+5 = 8) and just one is written in all the Gospel Mark 6:32-44. Mark didn't mention that in the Gethsemane Jesus would have called 12 legions of angels. A servant has no army. No promise is given to the thief on the cross, Only a king could do a such thing. The writer, Dr. Luke. He was a native of Syria and was not a Jew ( Colossians 4:14) He was the only gentile writer of the gospels. This is interesting because at this point we have 3 gospel written from Jewish people and this means perfection, but since the good news is for the whole world or earth the fourth (meaning world or earth) it is written from a gentile who represents all the other posterity. It is easy to understand that Luke was an educated and learned man for his time. Luke's gospel was for the Greeks. After the Romans and the Jews the Greeks were an important group of person, very influential in the world of that time. They influenced by their philosophers a lot of the background of the world and unfortunately they did the same in the early church. It is interesting to note that many of the gods of the Romans were just the same of the Greeks. Luke had many qualities to be entitled to write this gospel, he loved the beauty of the arts and rhetoric and philosophy. Luke was a perfect instrument for this purpose. Inspiration doesn't' destroy the individual ability, instead inspiration build on it. His purpose is to present Jesus like perfect man to the Greeks. As doctor Luke explains to us the birth of Jesus. The Savior came in the world like every other person, His mother had the same pain and the same problems like every other mother. Jesus had the same problems like everybody else in his childhood. As a child was subject to His parents (2:51). We learn from this Gospel that as a boy, Jesus developed naturally (2:40,52). Luke is the Gospel for the outcast on earth. The Good Samaritan, the publican, the prodigal son, and the thief on the cross. song of Zechariahs 1:68-79 song of the angels 2:8-14. Luke speaks more of the prayers of the Lord than any other writer. Prayer is the human dependence from God. The purpose of John was to prove that Jesus was the promised Messiah for the Jews and the son of God for the gentiles. The key word in this gospel is "to believe". This word is found 98 times in this Gospel (9 perfection to believe in 8 new cycle). Main purpose is to show that the baby of Bethlem was the literal son of the father. All the things were done by Jesus in the preexistence, but now the Word was in the flesh. No genealogy is necessary for who was already alive, no account of His birth is given. What is important to John is to make sure that the reader will understand that Jesus is literally the son of the Father, the word only begotten is the proof. The only One borned directly from the Father. Each one of us is son of God by Adam (Luke 3:38) but only one is the only begotten son like Luke explains 1:3-5. The book of John was written to prove that Jesus was literally the son of God. John gives us seven ( complete) testimonies of it. seven declaration to be Jehovah or "I am"
John didn't begin with Bethlem, his purpose is to proclaim the Son of God and to show His divinity. He started with " In the beginning"
Even the testimony of John the Baptist is different from the other gospels. Here John the Baptist refer to Jesus like the Lamb of God. In this gospel is declared that discipleship is proven not by beliefs or creed you proclaim, not by the ritual you observe, but by the fact that you love one another, simply doing works is possible to show this. written by Luke is practically when Jesus is released from earth and the Holy Ghost is called to serve and guide the church. Acts is the book in which the Holy Ghost start to lead the church. In this book the Holy Ghost is mentioned 70 times ( complete ). Believe me this is not a coincidence, when I put the numbers in parenthesis is because it is not by chance, but because that number has a meaning. The word "witness" is used about thirty times. The book begins with the preaching of the gospel to Jerusalem, to the chosen people and ends with the preaching in Rome. In acts 1 to 12 Peter is preaching repentance to the Jews while from 13 to 28 Paul brings his testimony to the gentiles with the key word "Believe". The first one (Jews) needed to repent to have rejected the Messiah the second ones to understand Him and accept Him. It is interesting to note that the first sermon of Peter brought 3.000 people to be baptized. Acts explains how the mission were organized and the price paid from the martyrs to preach the Gospel. we have 21 epistles of Paul, even this number is interesting. Many of these were written from Jerusalem, others from Rome. From Rome were written the epistles to Ephesians, to the Colossians to Philemon and to the Philippians. The first letter written from the apostle of the gentiles is clearly written to the most important gentiles in the world ( the Romans ). Paul was born at Tarsus, his teacher was gamaliel, he was a tentmaker. God called him at Damascus to be the apostle of the gentiles, the combination of Roman citizenship, Greek education and Hebrew religion tremendously qualified him for this special task. Many people, specially the catholic, maintain that Peter was the founder of the church in Rome, but that is very hard to maintain: Peter was called to ministry the Jews. Probably the church in Rome was founded from visitors from Rome in Jerusalem for the Passover and converted in the 3.000 people the day of Pentecost. This letter is the most favorite for the protestants, in fact Paul is speaking regarding salvation by grace even though at the end of his explanation he clearly says:" even so might grace reign THROUGH RIGHTEOUSNESS UNTO ETERNAL LIFE." Reading acts 18 we know how the Gospel reached this city. Paul went in this city searching of a workshop where he could earn his own living. He did his job like tentmaker. Anyway his main goal was to build a Christian community and in a year and half, going every Saturday in the Synagogues to preach the Gospel, he was able to convert many Jews and Greeks. The first letter is written to them because the philophy of the Greeks was overcoming the truth in the church. The danger for them was not outside of the church but inside. The Greek spirit of party politics divided the church into four parties and each one of them was trying to get the mastery. Paul pointed out to them that the minister in the church is not a rival for another minister but just a brother, no one was allowed to have disciples like the Greeks philosophers had. Paul had to reexplain the topic of resurrection. Fortunately the Corinthians practiced the baptism for the dead so Paul asked them the question :" Else what shall they do which are baptized for the dead, if the dead rise not at all? Why are they THEN baptized for the dead?" If they didn't accept the resurrection, what they were doing was clearly without sense and therefore useless. So what they practiced should have a meaning for them. The second epistle to the Corinthians shows that Paul was worried somewhat as to how the church in Corinth would receive his first epistle. He sent Titus there, to find out about what happened. Titus reassured him that the letter was well received, but Titus remarked that somebody doubted his motives, and even denied his apostleship. Probably because Paul was not in the first set of the twelve. Paul wrote another letter to them expressing his joy of how his first letter was received and took the occasion to defend his authority. For this personal reason in this letter Paul gave more details about himself than in any of his other epistles. He speaks about his courage and his love for the church, his escape from Damascus in a basket, his experience of being taken to the third heaven, his thorn in the flesh. He never mentioned none of these until he had to do it just to defend his rights. Paul's ministry was a triumphant one, but he had many sufferings too. What make his writings special is the way he reacted when he was in trouble, he was always an optimistic one. There is a saying very good too explain the real personality of Paul. "The pessimistic sees a difficulty in every opportunity. The optimistic sees an opportunity in every difficulty." That was Paul he saw only opportunities! Paul had his own eye directed on the future not on the present. This letter is famous for the phrase :" But though we or an angel from heaven, preach any other Gospel unto you than that which we have preached unto you, let him be accursed." Paul was trying to say:" Guys what I am preaching is the real Gospel, so please don't misunderstand me because even though an angel......."
Paul knew that angel could minister to the people and that the devil could appear like an angel." To better understand this point please read Galatians 1:8 on my page. Paul established this church Acts 16:6 Galatians 4:13. Probably when Paul left some other preached different point of view, regarding the law and the circumcision. Paul had to reaffirm his authority. It was said that Judaism was the cradle of Christianity and probably its grave, in fact Paul remarks that if the Christians go back to Judaism they deny the gospel and embrace again the law. Also a gospel MIXED WITH THE LAW it would be a strange thing. The authority of Paul, regarding the gentiles, is shown by his rebuke of Peter 2:11-21, he was the apostles for the gentiles and Peter was setting a bad example in that moment. He was not missing respect to Peter, he was just using the keys that he had received by God. Peter understood the point and nothing happened between them because Peter was aware of 2:6-9. It is interesting to note that Paul explains what are the fruits of the spirit. Three are gifts received by God:" Love, joy and peace." Three are gifts for our fellow men:" longsuffering, gentleness, goodness." three toward ourselves :"Faith, meekness, temperance." three per three a perfect triangle. in the closing chapter is explained what we have to do to defend this masterpiece: the Armour of God. It is interesting to note that in this epistle is clearly mentioned that families are in heaven, do you know why? just because the church is the way to get there if the member will use the Armour of God, their destiny is in heaven like families! Paul urges this church to have unity and joy and it is very significant that he wrote this letter while he was in prison in chains. He wrote to his Philippians converts to be happy because they were allowed to suffer for Christ. What great example he set. He was in chains but his spirit was completely free. Paul mention in this short letter the savior's name 40 time (trial and maturity) Paul in that moment had both physical trial and spiritual maturity. Ephesians and Colossians were written almost in the same period of time and in the same place: the prison in Rome. Heresy had broken out in the church at Colosse, calling for the worship of angels and s observance of Jewish ceremonies. Paul is just trying to avoid this new challenge. The second coming of the Lord is the theme of these two letters. The second coming is the hope of the church and it is mentioned in every closing chapter. This was done from Paul to make sure that they would understand that their hope should be a reality. These letter were written from heart to heart. No one should fear the second coming, just each one of us should be prepared, if you are prepared the second coming will be the top of the joy, if you are not repaired, than you have all the reason to be worried. Practically Paul was saying, repent and convert yourself and when Jesus will come you will rejoice in His presence. In this letter Paul is giving us a lots details regarding the second coming. An interesting things to take note is that the second coming of Jesus is mentioned 318 times in the 260 chapters of the new testament. 318 three ( perfection ) 1 (God) and 8 (new cycle) and the sum is 12 the earthly guide or apostles. 260 the sum is 8 (new cycle) 2 ( two witnesses ) and 6 (no complete). The eight represents the new cycle ( the millennium), 2 the second coming or second testimony from Jesus and six because the cycle is not over in fact the millennium is missing to complete the seven days or millenniums of the human history. First and second Timothy are the three pastoral epistles. In the first epistle Paul explains to Timothy the importance of the doctrine, in his second he is talking about the importance of the testimony. Paul is talking like he was aware to be at the end of his minister. His arrest should have been sudden in fact he asked to timothy to take care of his things 4:13 These were his last writings and he was aware of that 4:6-8 and also he mentioned 23 people because he wanted to remember everyone. His heart his beating in every verse and the reader could feel it. This is not the beating by fear but from the strong feeling of a good father that is leaving his loved ones. Timothy is often called son from Paul. Probably Paul converted and baptized him, same thing for Titus. Even though everybody agrees that the author of this letter is Paul, there is not certainty. Being this letter for the Hebrews its purpose was to show them the greatness and the mission of Jesus. had it. they were according to peter a Royal priesthood. the keyword is "doers". Works are essential, faith without works is dead. With this simple clarification James gives us a clear warning that Gospel is just action not just talking 1:22. Keep on mind that James was the brother of the Lord. James didn't destroy the principle that salvation is by grace, because without the atonement no one could be saved, but to gain the eternal life, not just resurrection, action, works are essential and necessary, faith without works is dead. These two letter were written when Peter was at the end of his life. They show us a different Peter from the Peter depicted in the Gospels. In the Gospel Peter seems impulsive and coward, in these letters is loving, restful and full of courage this is why Jesus told him Luke 22:32 "and when thou art converted, strenghthen thy brethren." The first letter was to console the second one to warn. To console who was suffering, to warn them that the danger could be inside the church. The letters of John were written after his Gospel about 90 a. c.
It is interesting to note that he didn't address his epistles to any particular church and there is a specific reason for that, at that time he was the only original apostle alive and surely he did hold the authority which Peter had, therefore his letters were addressed to the whole church. As chief of the church in that particular moment we find that his letters are a good sample to follow from the members of the church. John speaks about seven (complete) trials that the Christian has to overcome to walk with God. 1) Walk in the light. 2) admit to be a sinner, and that is to practice the repentance. 3) Obey to the will of God. 5) Love his fellow man. 7) prove that Jesus is a winner in his personal life. The second letter of John is directed to a woman and this is the only scripture addressed to a woman. This book is the only one in the new testament written with the purpose of prophecy. There are about 300 symbols in this book and this show us how much important is to try to discover the meaning of each one. Many people neglect the symbols and the numbers, because they confuse us, but it is not so, if you know the meaning you can't be confused. This book is full of seven (complete) because it is talking about the whole thing from the beginning until the very end. Revelation is a concentrated history of mankind. seven new things (new heaven, new people, new bride, new home, new Temple, new light, new kingdom. and the total of these things is seven. It is said that the blood of Jesus runs through the whole Bible like a red cord. It is said that the second coming of the Savior runs through the scriptures like a golden cord. This book is perfect to finish the Bible. In Genesis heaven and earth were created, in Revelation we find a new heaven and new earth. In Genesis there is a garden in revelation an holy city. In Genesis the marriage of Adam and Eve, in revelation the wedding is between Jesus and His church. In Genesis we have the beginning f the sin in Revelation everything is purified. IN Genesis Satan appear and in Revelation disappear. In the Old Testament Jehovah is the main Character, in the new Testament Jesus is the main character but it is in Revelation that we discover Jesus perfectly like God of the old testament and the Savior in the New Testament. Jesus spoke His last word like a promise: Surely I come!